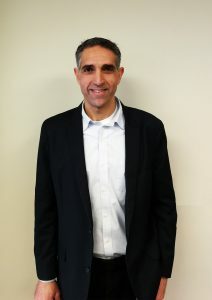 In another step towards fleshing out the sales function, we’re happy to announce that Zack Sharon has joined DLC LumiSheet as Director of Business Development effective immediately. In this role, Zack will be leading specific sales initiatives, helping us target and expand new markets, and helping our customers to continue to expand and grow with the DLC LumiSheet range of products. Prior to joining DLC LumiSheet, Zack has run sales well-established companies such as Semefab in Europe. In his role as Sales Manager, he built up a European network of distributors as well as managed key strategic accounts. Most recently, Zack led sales and marketing for Sol-Chip, a worldwide leading Internet of Things (IoT) systems and Energy Harvesting solutions provider, from 2012 to date. In his role as VP Sales & Marketing, he was also charged with building the go-to-market strategy. Zack has an Electrical Engineering degree from a top university in Israel, as well as a Master of Science degree from NYU. Moving across technology as an industry, Zack has considerable experience in the semiconductors and telecom verticals with a meaningful stint in IoT. We are delighted that Zack has decided to join DLC LumiSheet. He will soon be immersed in his role of business development, meeting with as many customers and partners as possible. Please join us in welcoming him to Team DLC! previous post: We’ve got a new VP of Sales!